A GPS-based trainer that gets you from a 5k to a half marathon in 13 weeks. For iPhone. Integrated with the Health app. Automatically calculate and save Calories burned for each workout to the Health app. 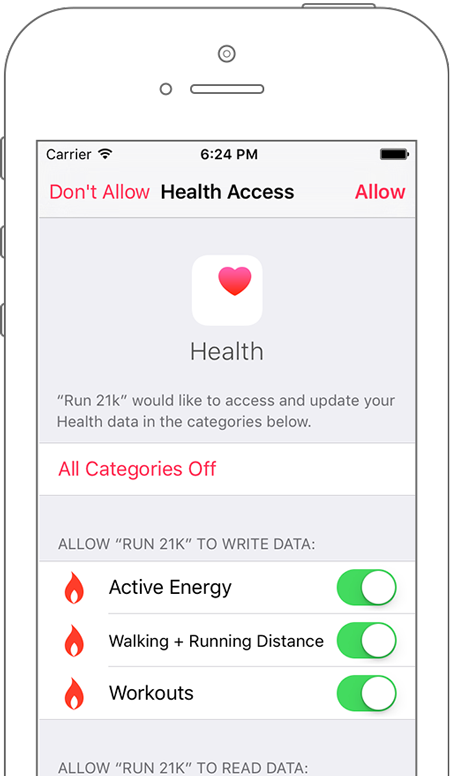 See your target and maximum heart rates and save your heart rate data to the Health app, too. Includes Apple Watch app. 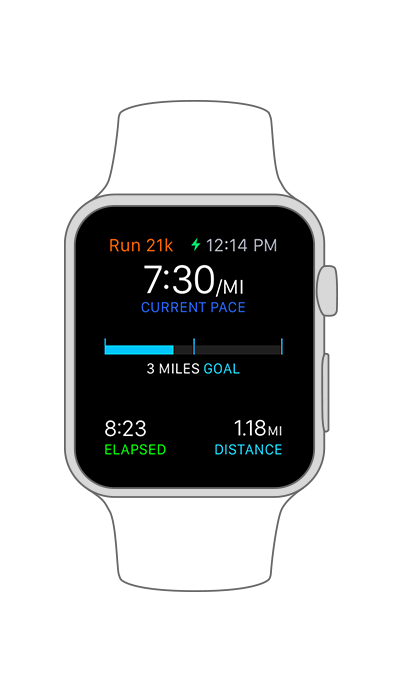 Start a workout, track your pace and distance, and get notifications all on the Apple Watch app. Track your distance and pace. RunQuest 21k maps your route and places mile markers while you run. 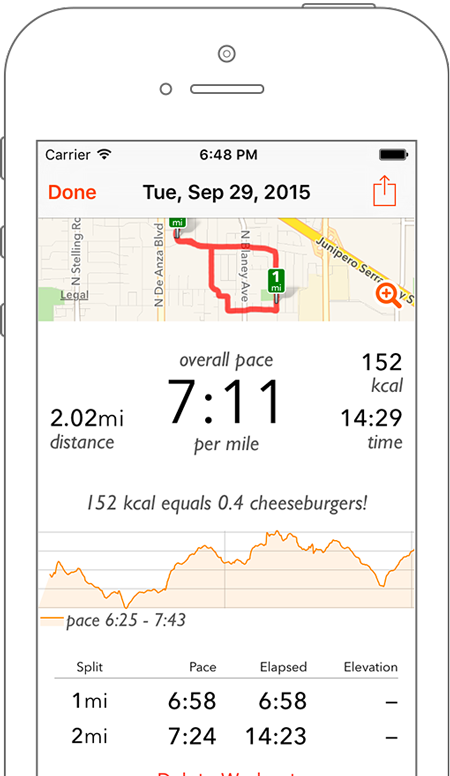 Peek at your map during your run, or just lock your screen. GPS will automatically track you until you're done with your workout. 13 weeks, 4 runs per week. The complete training program, available in miles or kilometers, is perfect for a runner's first half marathon. 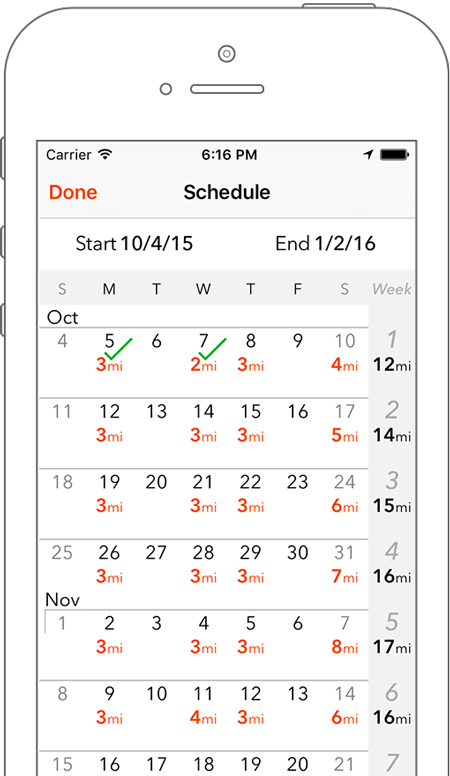 Schedule your start and end dates, and see your workout progress in an at-a-glance calendar. Day-by-day workout journal. Each day of your training is a page of this journal, which includes tips on pacing, nutrition, and other advice along the way. When you finish a workout, a summary of your running data is saved here. Complete stretching program. 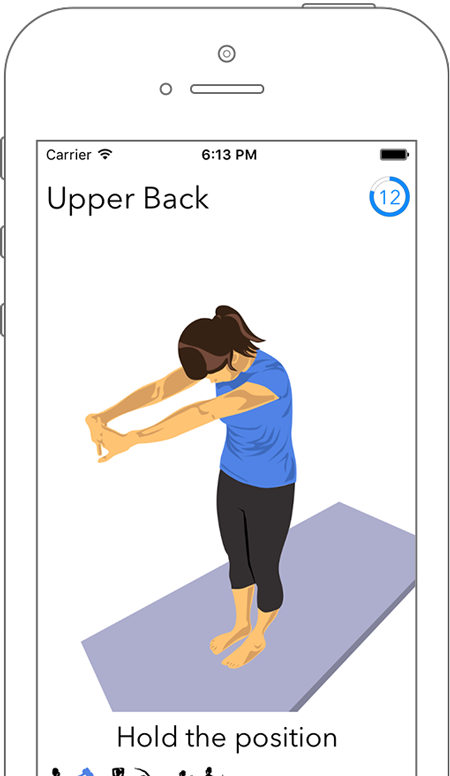 Like our Run 5k and Run 10k apps, this app includes a comprehensive set of stretches. You'll be guided through animated warmup moves and static cooldown stretches with a built-in timer and audio cues. Audio cues. Let our voice cues guide you during your run, even if you have your phone tucked away and your screen locked. RunQuest 21k tells you when you're halfway, when you're on your last mile of the run, and when you're done with your workout. Heart rate monitoring. Measure your heart rate during your workout using the built-in heart rate meter or any standard Bluetooth heart rate monitor. Built-in music controls, and flexibility to use with any audio streaming app. During your workout, choose a playlist, pause, and skip songs all within the app. You can also use the RunQuest 21k app with any other music streaming, podcast, or audiobook app. Start your audio streaming app first, and then go into RunQuest 21k to start your workout. I never thought I'd be able to run 13.1 miles, but this program builds up your distance and stamina without overtraining you. 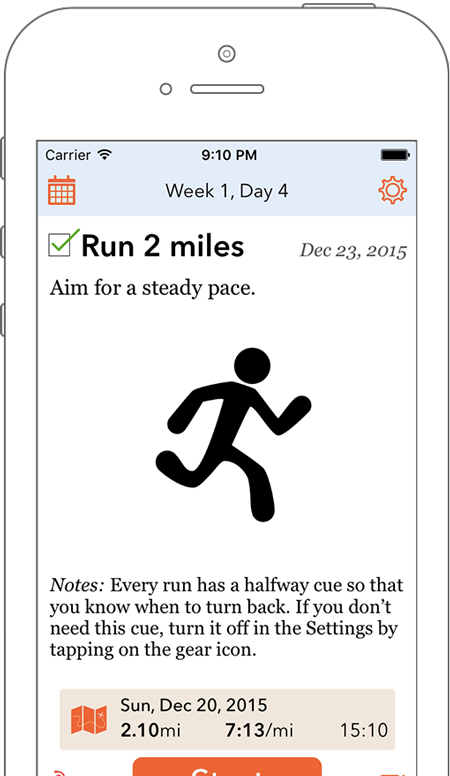 I used [RunQuest 21k] to train for my first half marathon... great app all around. Plan on using it for my next half! !